Hello, Jane here. How are you all? Hope you lot over there in the UK and Europe are having a few days of sunshine - whilst us poor souls in NZ are still in the depths of winter! Now, it's my turn this week to set the dare and I want you to use PIPE CLEANERS!! 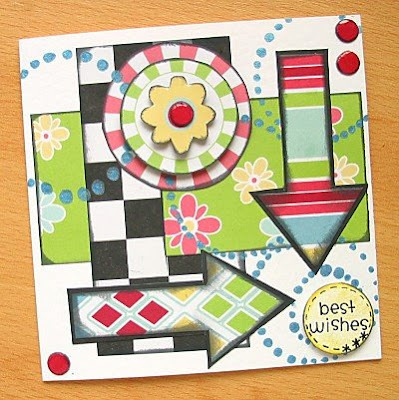 Any shape, colour or form - put them on a card! 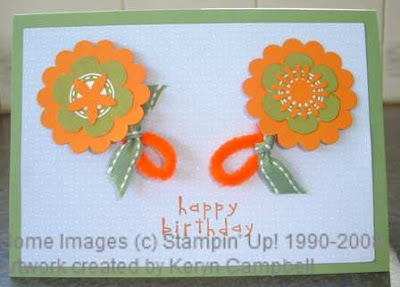 I know it can be difficult to incorporate Pipe Cleaners on cards (sticking them down is one obstacle!) but they can be put to lots of interesting uses too! So go on - it wouldn't be a challenge site if it was easy would it? 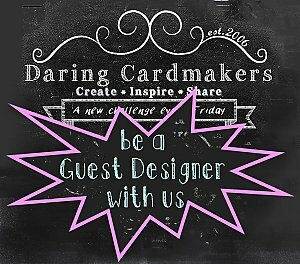 Here are some of the design teams' cards to hopefully inspire you - and don't forget to leave us a link to your cards so that we can come have a nosey at your fab creations! Well I hope you all enjoyed walking "This Way" with us for the last dare! It's Rachel here with my little extra for this week. 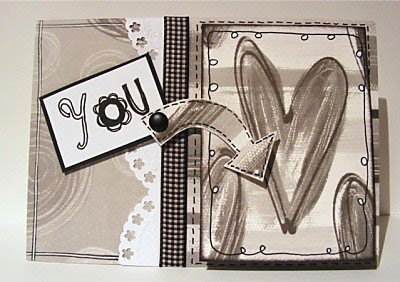 After Mels Quick cards sometimes we need a little something to go with a card - you know just a little something, so my challenge to you all is to make a card and something to go with it - even if its just an extra special envelope. I had a couple of ideas I wanted to share with you with some brief instructions. 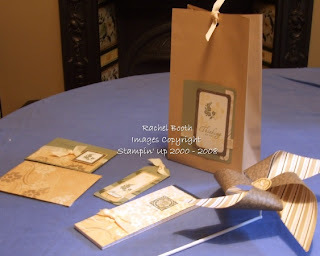 A windmill - we all love them - really simple square of patterned paper with diagonal cuts then folding alternate corners over onto a stem. I rescued an ugly unloved promo one and recycled the base! 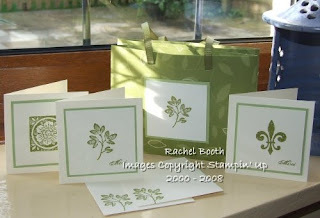 The centre circle was stamped on patterned paper to hold everthing in place. 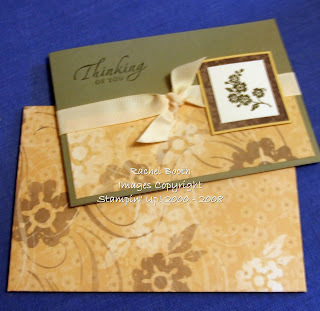 An envelope - easy peasy with a template, if you don't have one cut open an ordinary one and use that. 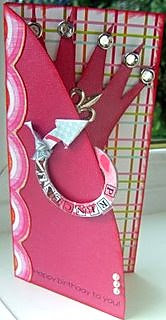 A bag-a-lope decorated with a card front.... a bag made from an A4 envelope. Or just alter a little container for a few sweeties to lighten the day! I don't mind what you have a go with but I thought we would venture outside our comfort zones - just a little. Can't wait to see what you all come up with!! Thanks to all who joined in with last week's "It's a Wrap" dare, the cards were, as always fab and full of inspirational ideas. 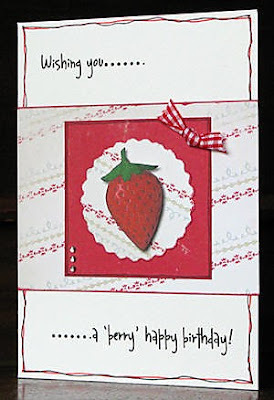 We hope you're enjoying having a go at some of Mel's Quick Birthday Card ideas - don't forget we'd love to see how the tutorial inspires you so please share your cards by leaving a message on the Tuesday thread. OK, this week it's Tanya's turn to set the dare and this time it's a dare with a POINT! A nice sharp point, at that! Have fun and please come back and point us in the right direction for your creations just as soon as you're ready to share. 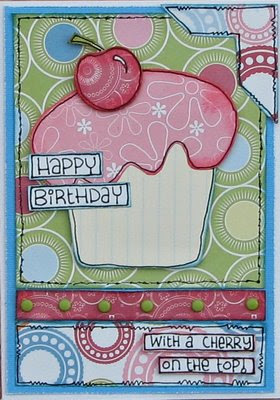 It's Mel here for a fun, little extra dare :) This one is Easy Peasy Happy Birthday Cards. You know the times when you've suddenly realised that you need a card and there is only enough time left to create something fast and simple (because you've left it until the last minute to start). Here are a few ideas to get you started. 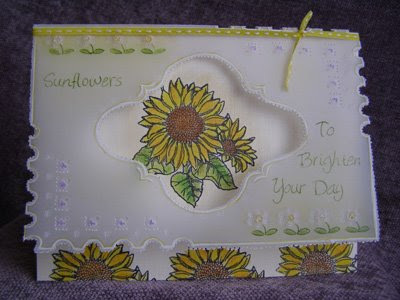 This first card has been created by hand cutting out a simple, large flower from patterned paper. 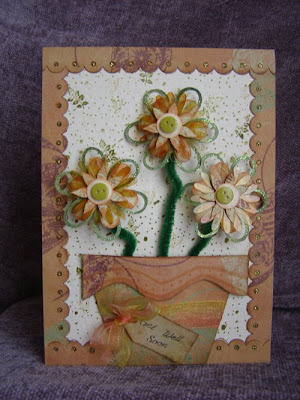 Add a small circle of patterned paper for the flower center and sew on a button to complete the look. 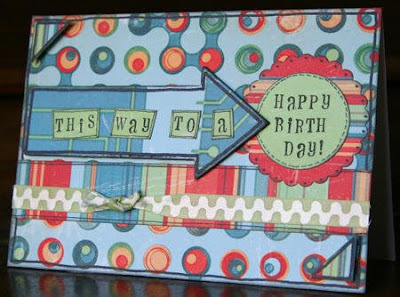 Another quick idea is to print (or type/stamp) your birthday message, cut into strips and adhere on the card. 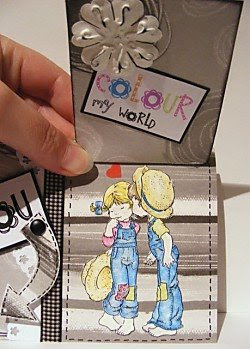 Add a small embellishment under the message for a nice finishing touch. 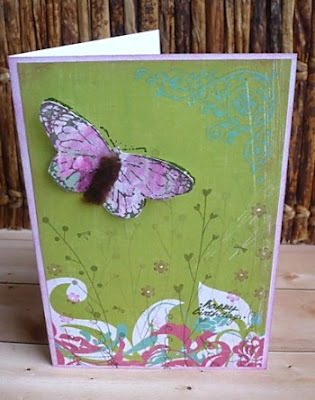 Using transparencies for the background of your card makes a very speedy card. 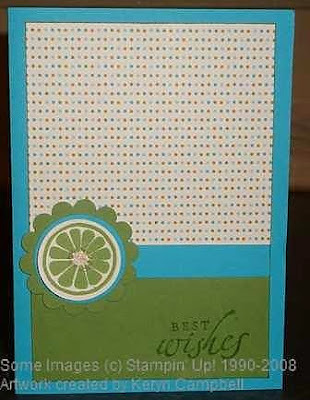 Add a die-cut, hand stamped message and small embellishment to complete the look. You can hide the adhesive (used for holding the transparency in place) behind your die-cut. This card may seem a little more complicated, but only took about 10 or so minutes to put together. 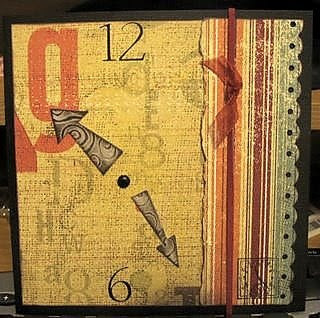 Beginning with a series of small squares, the edges were inked and each square was either stamped with a birthday greeting or an embellishment was added. 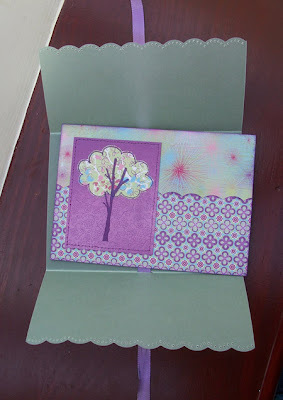 These were then placed on top of a die-cut and some photo corners added to complete the card. 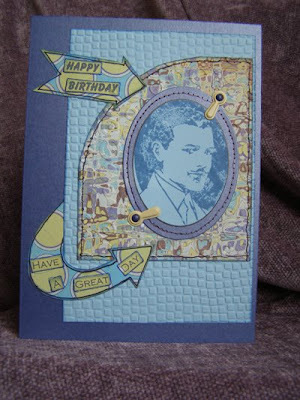 If you'd like to join in and create an Easy Peasy Happy Birthday card, please be sure to post a link to your card in the comments so that we (and everybody else) can take a peek. Hi all, It’s Sue here and it’s my turn to come up with a dare for you this week. I think I’ve come up with something a little fiendish but before I reveal all the team would like to thank everyone who took part in Rachel’s ‘Scrumdiddlyumptious’ dare last week. I wasn’t here to take part in this one myself but I’ve been to see what you were all up to and worked up a real appetite looking at all those foodie cards! Ok, on with this weeks dare. No, not the kind stuffed with Chicken & Cesar Salad or the woolly kind you put around your shoulders to keep you warm, mind you, the way our summer is going I think we could all do with one of those! I would like you to give your card a coat made of acetate, vellum or anything for that matter. 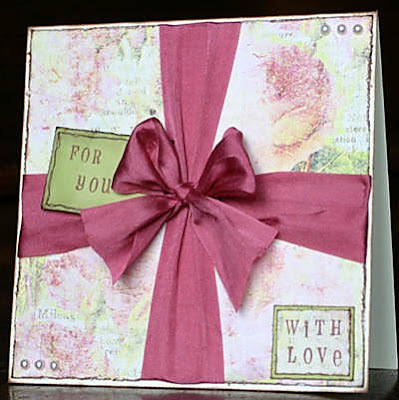 As long as it ‘wraps’ around the outside of your card, anything goes! Here are a few creations from the design team to help get your creative juices flowing and don’t forget, when you’ve created your master piece, pop back and leave us a comment and your blog link because we love to see all your cards. 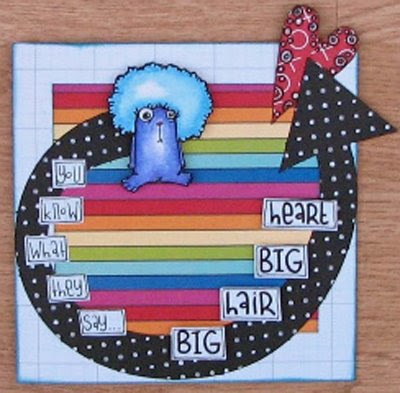 Huge thanks to everyone who joined in with Mel's "Sprinkles" dare last week, and we hope that you're finding Jozza's fab acrylic paints tutorial inspiring - don't forget to share your cards with us, we'd love to see them. 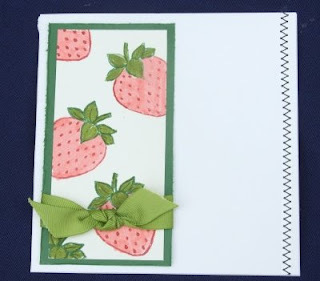 We're looking forward to drooling over strawberries and cream, icecream sundaes, and long, cool cocktails - we're sure you'll make our mouths water with your delicious cards, so please pop back and leave a message so we can see what you've come up with for this dare. Welcome to the first new look little extra! We've decided that each of the design team will take it in turns to host the new look little extra. This will be in the form of a little tutorial, or a focus on a specific product, or maybe just some makes using lush stash that a particular designer is fond of at the time. Anyhow, it's Jozza here, a relative newbie to the team. I decided "in for a penny, in for a pound" and volunteered myself for the first new look little extra. Once you've finished painting you need to let the card dry. Acrylic paint tends to dry fairly quickly as it's water based. The card will probably warp a little as it's drying but it's easy to bend it back into shape as it dries. Next stage is the fiddly cutting out part. I kind of like that too. I do like fiddly finnicky jobs! 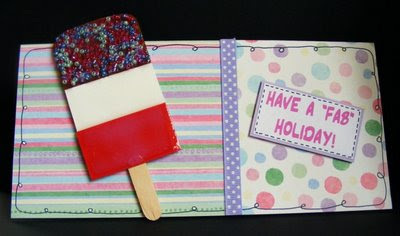 Here is the finished card. 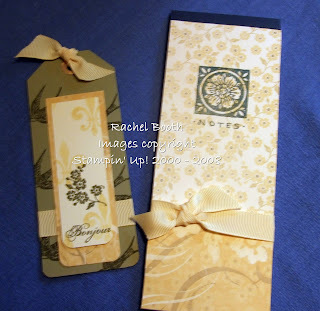 I stamped a Paperartsy stamp on the top left corner, first in white ink, then in black. I took a chipboard frame and painted it with gold acrylic paint. 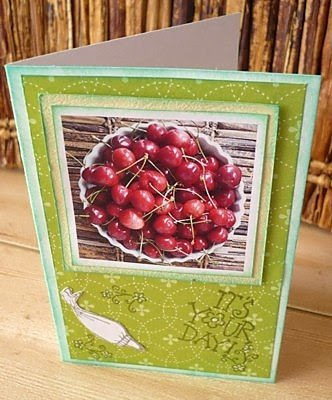 It's a great way to highlight a simple image on your card. 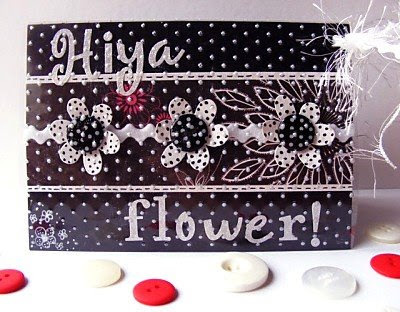 A bit of doodling and the addition of some Bazzill rub ons & rhinestones make it a quick and easy card. 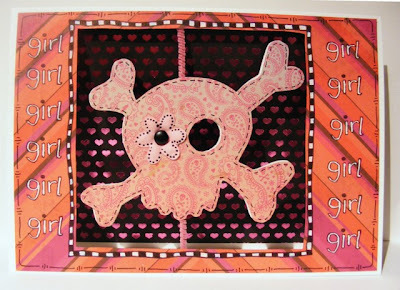 Try copying a stamp design onto your card. I copied a swirl from an Autumn Leaves set (Mindy's Flowers). It doesn't have to be too accurate. Sometimes I like it if a card isn't too polished and perfect. Using acrylic paint (I used white) go over the pencil drawing. This is where you learn (in my case anyway) that you need to invest in a decent set of brushes. My brushes are rubbish for painting swirls! I found I needed to water the paint down a fair bit for this. Once dry, stamp over the painted swirl in black ink. 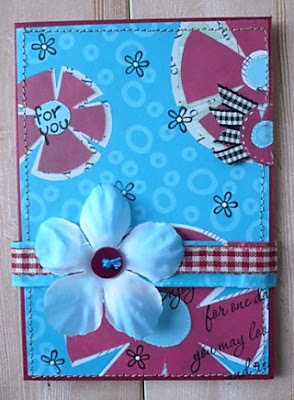 Add some bits and pieces to "tart" up your card and voila! 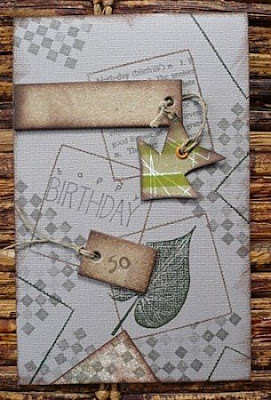 The paper used on this card is Basic Grey periphery (Vineyard). Buttons, ribbon and brad are from my stash. I do hope you've enjoyed this little extra. You may not have learned anything groundbreaking (except that I can waffle on!) but I hope it's made you want to play with paint a little bit. We'd all love to see what you make if you do decide to have a go so please post a comment and link if you do.